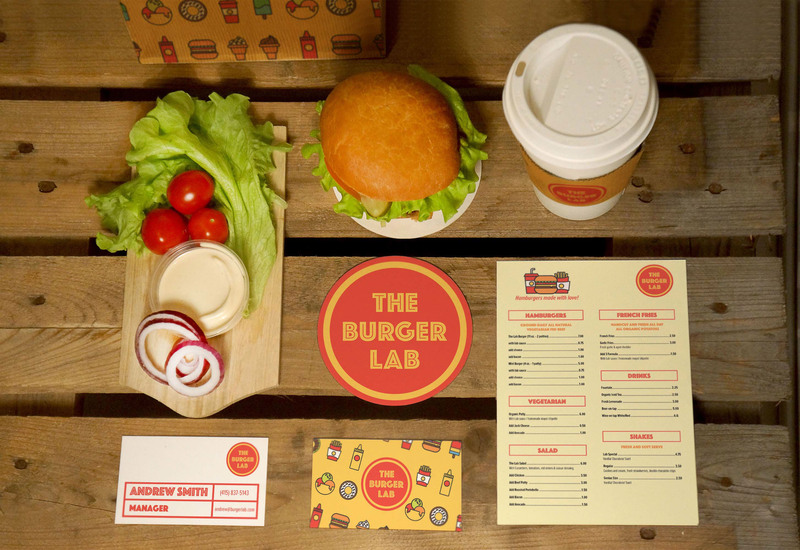 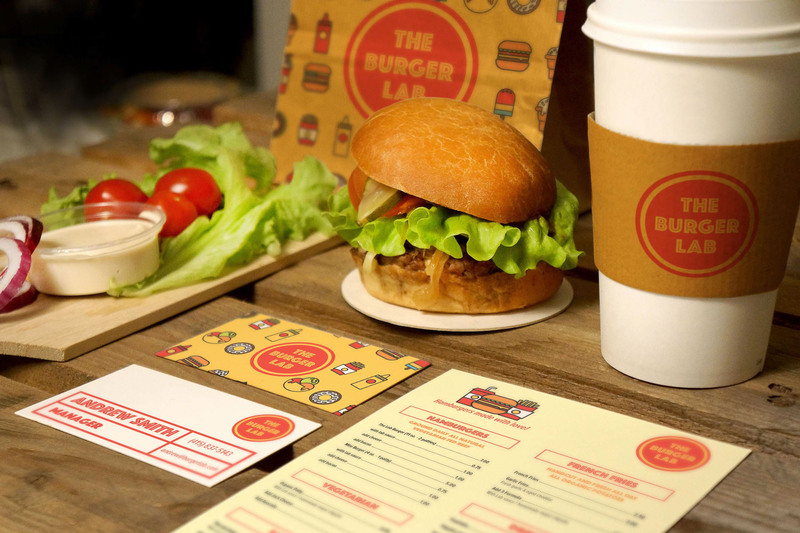 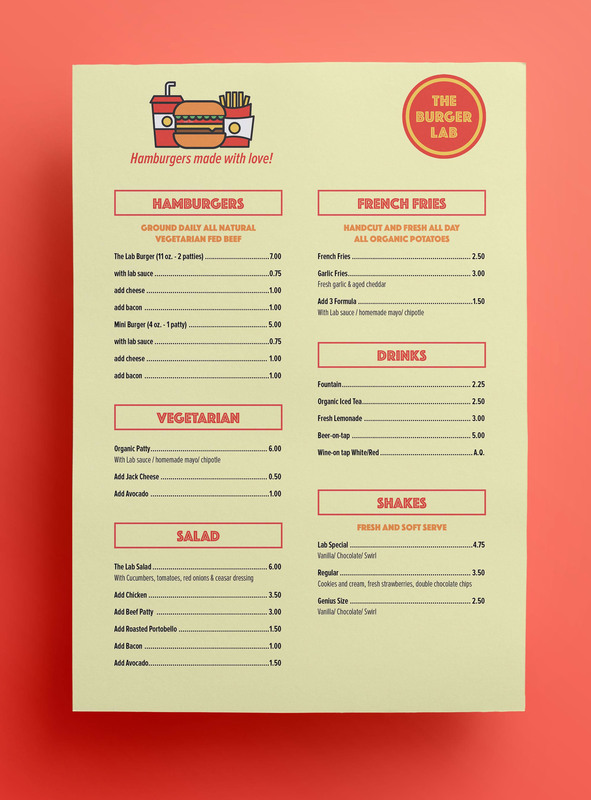 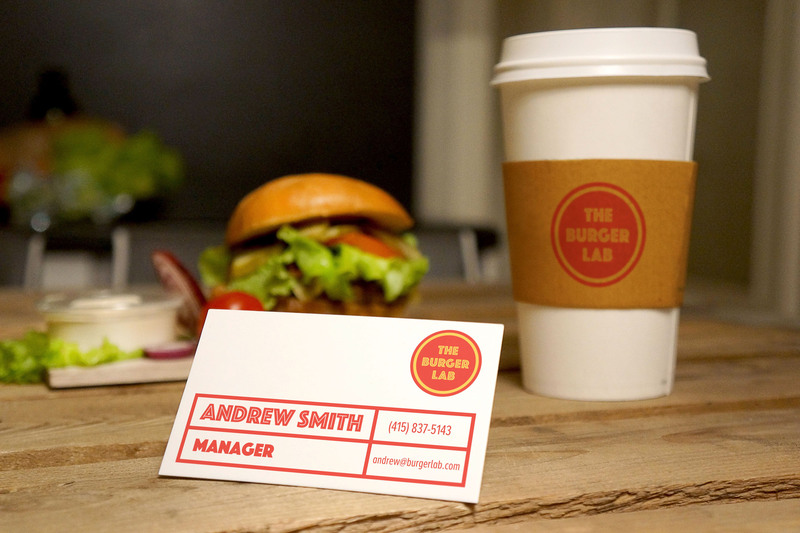 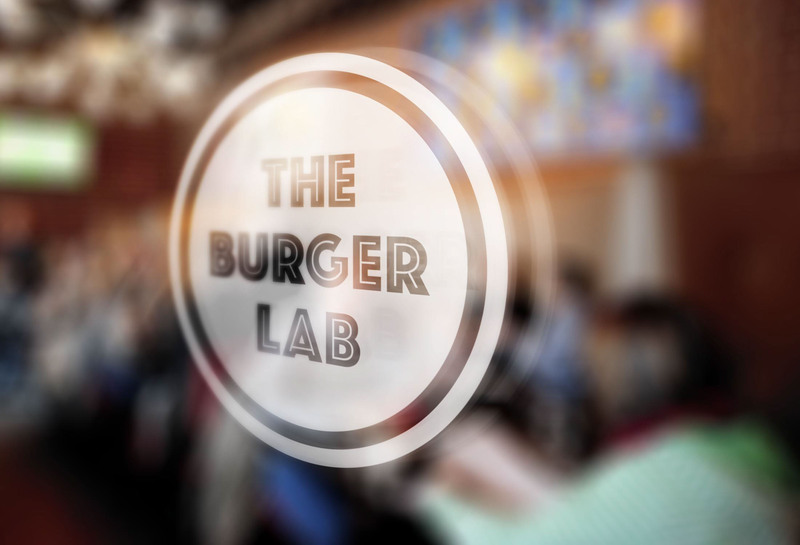 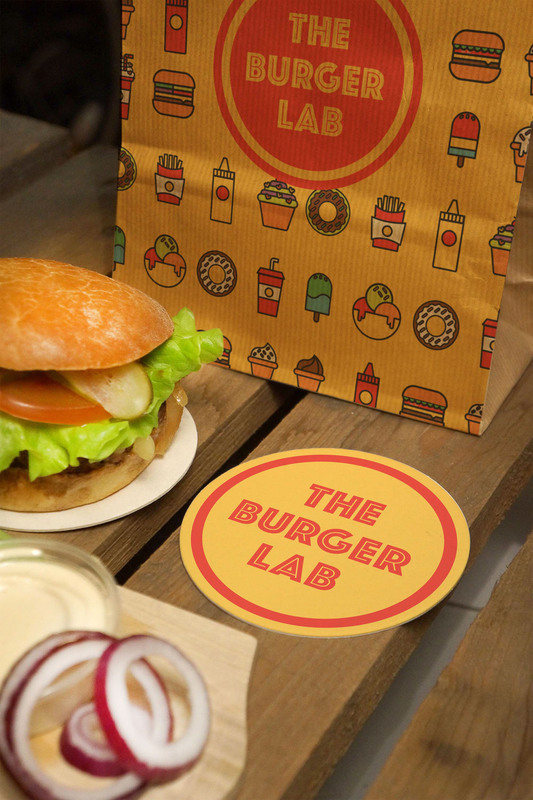 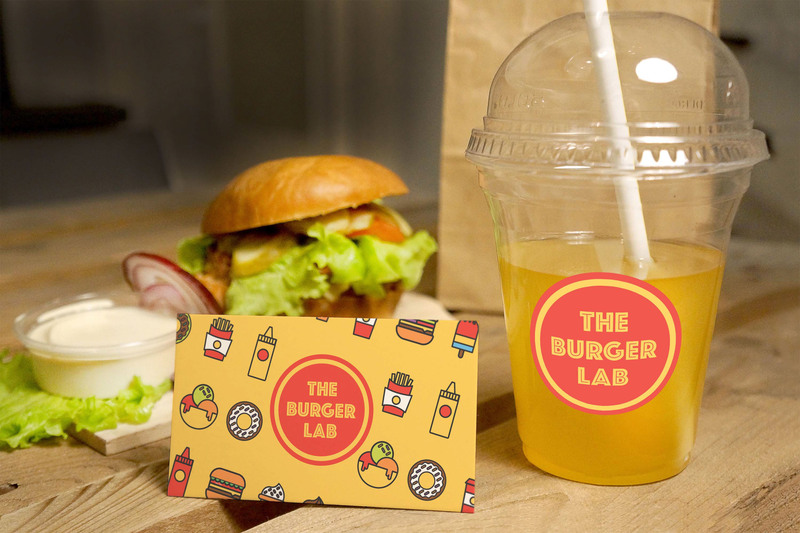 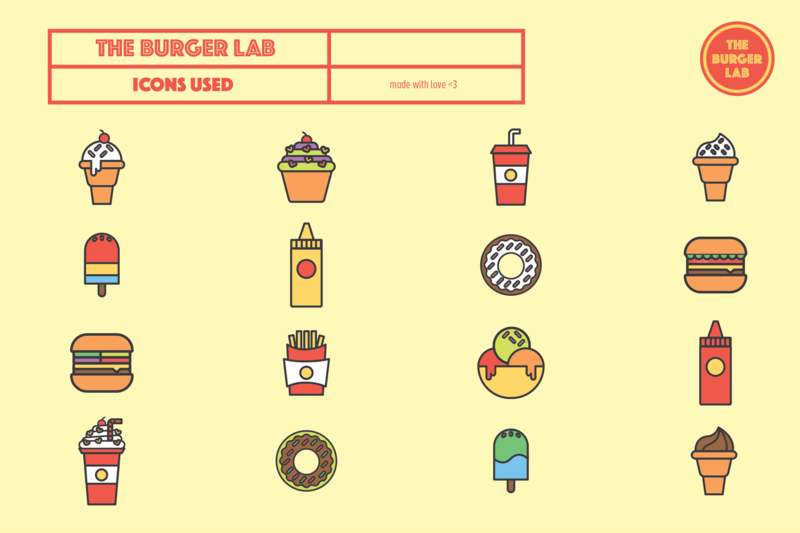 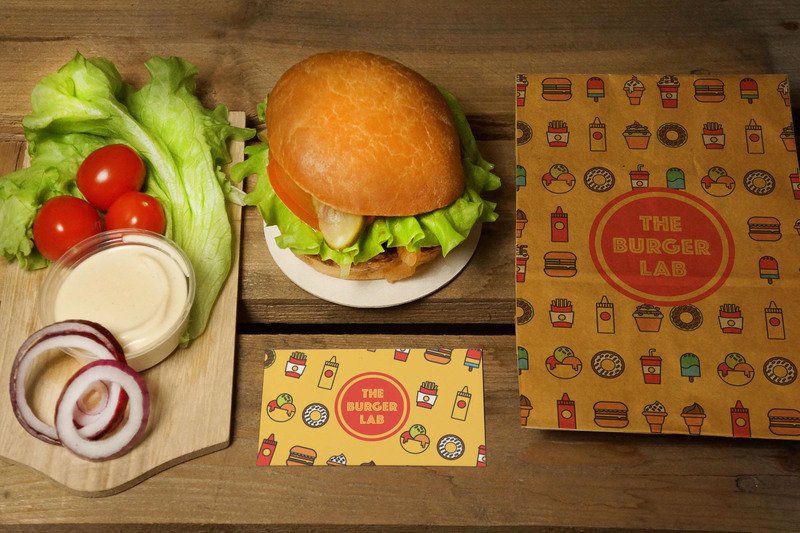 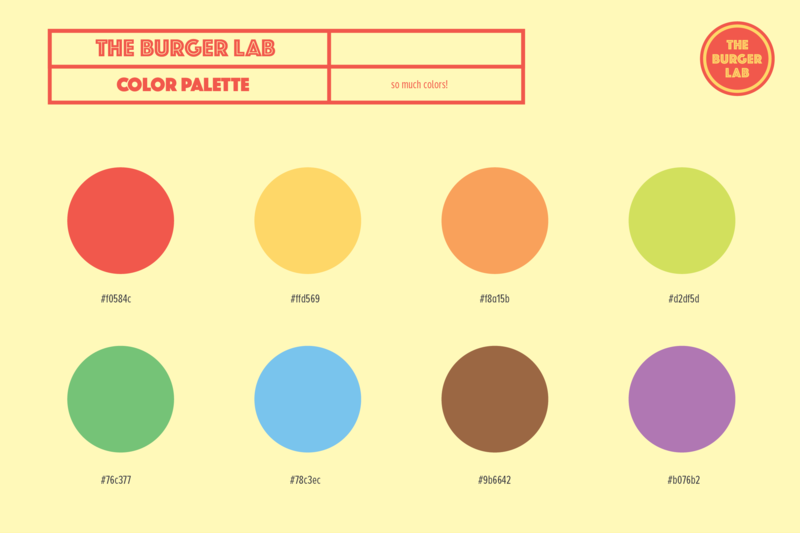 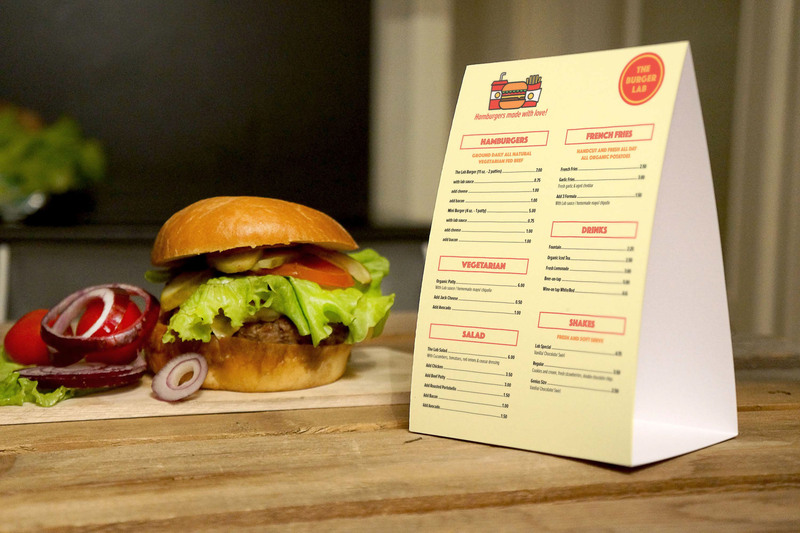 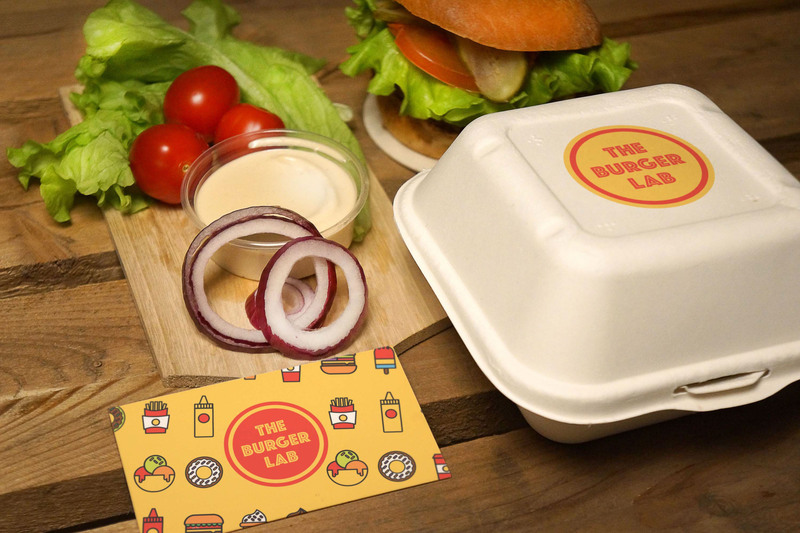 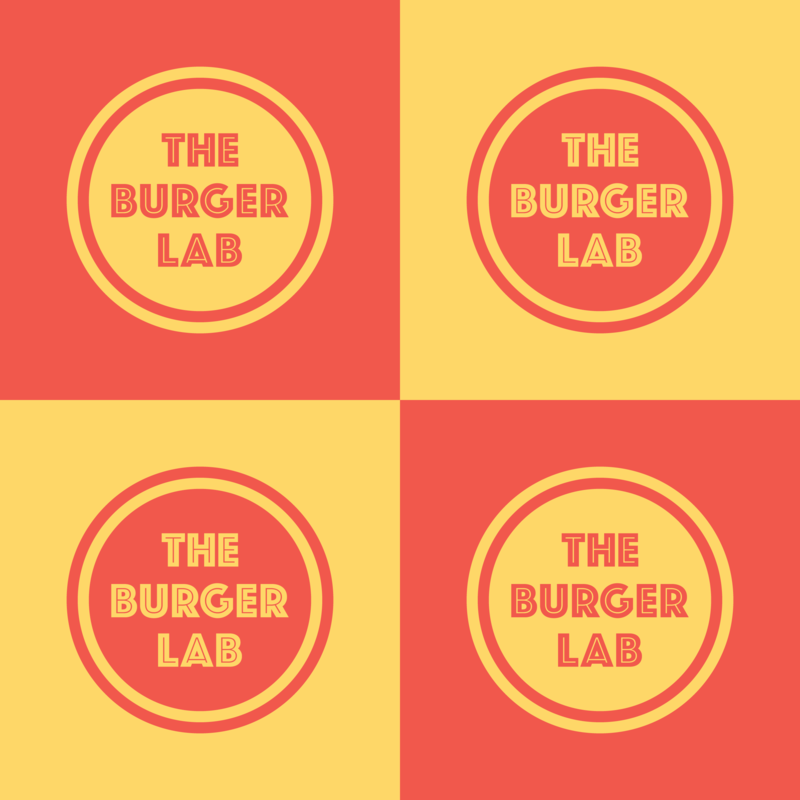 The Burger Lab is a new fast-casual burger restaurant offering amazing tasting food without harmful chemical for their burgers, fries, and shakes. 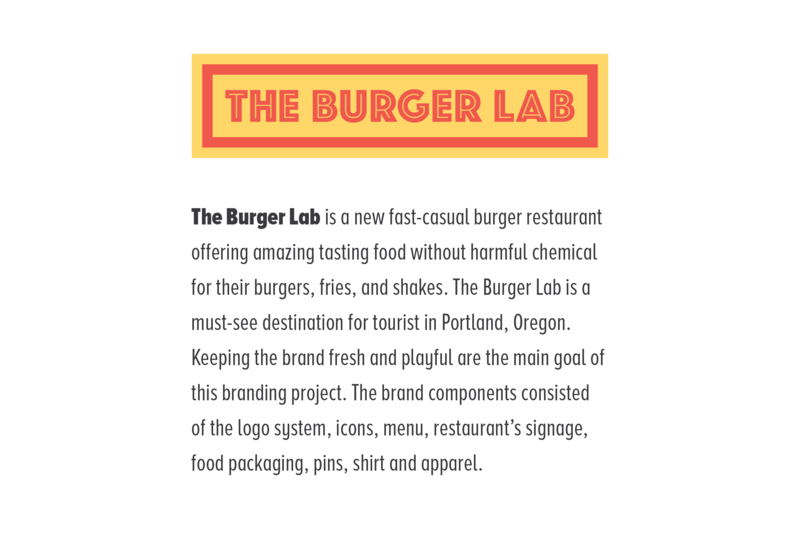 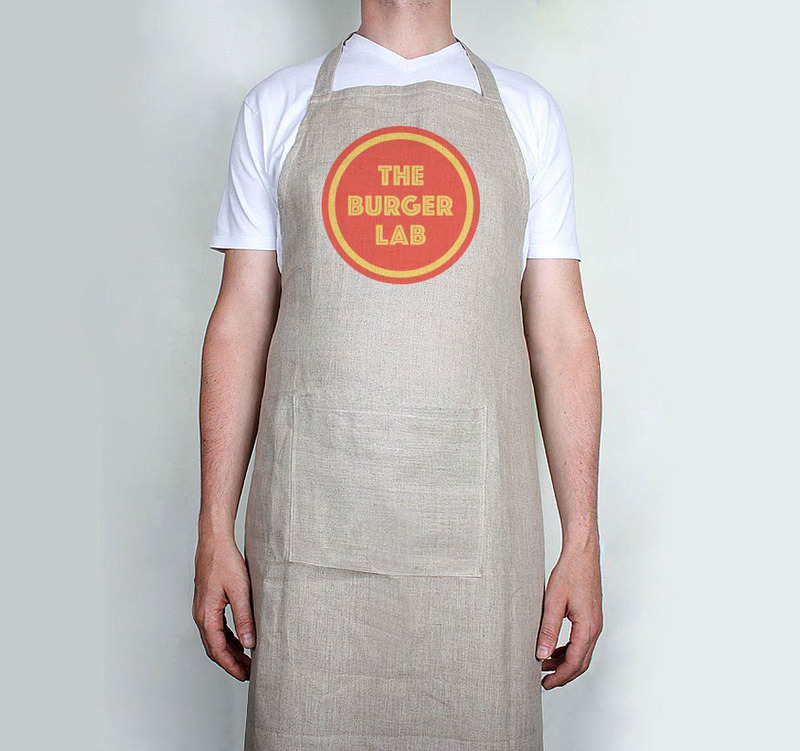 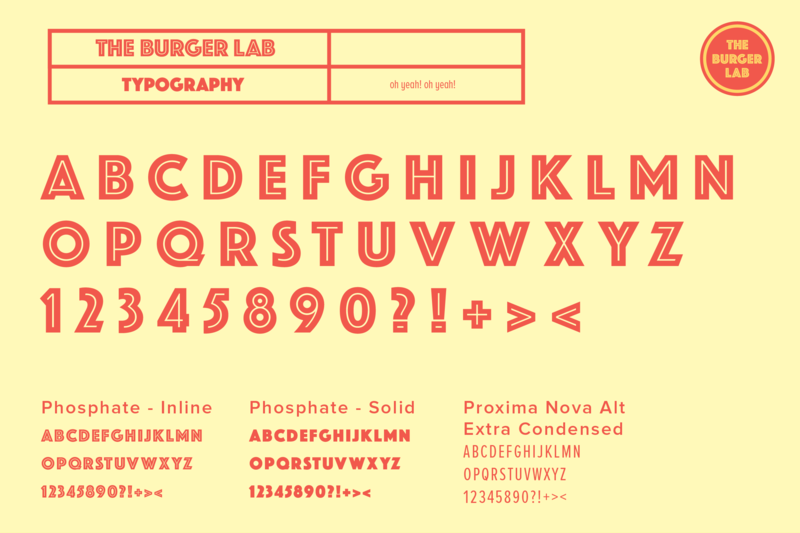 The Burger Lab is a must-see destination for tourist in Portland, Oregon. 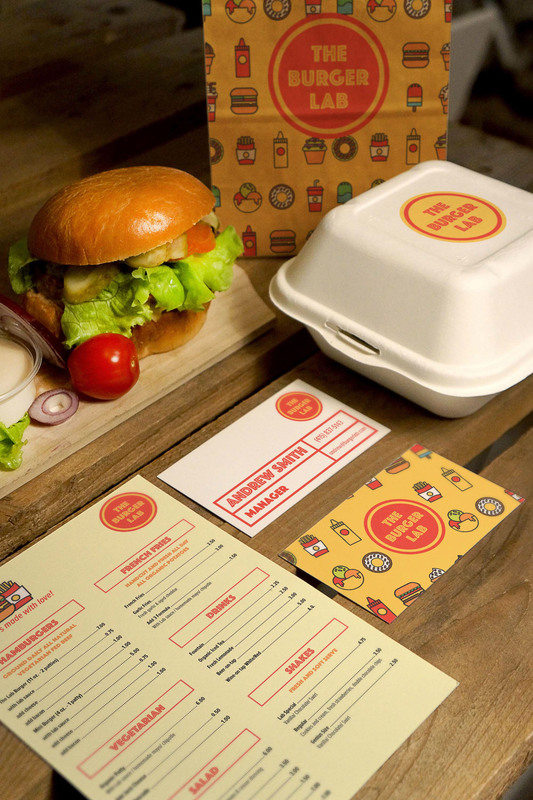 Keeping the brand fresh and playful are the main goal of this branding project. 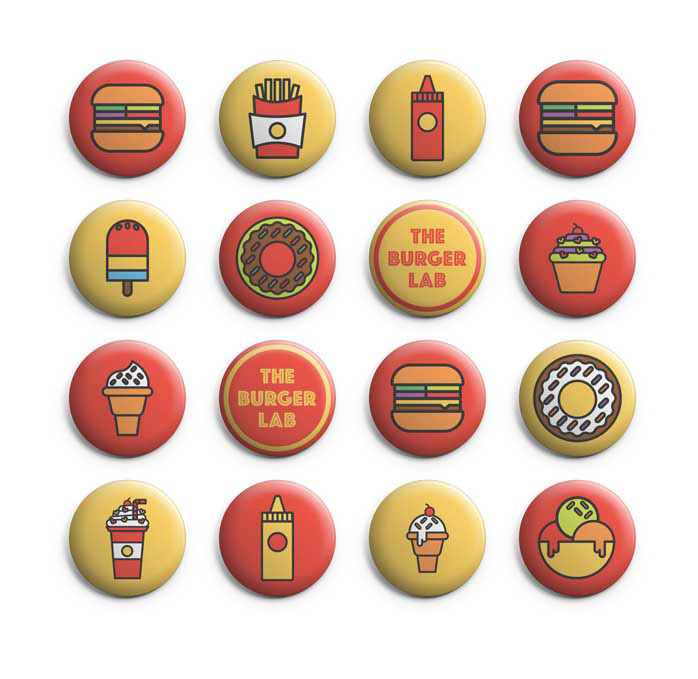 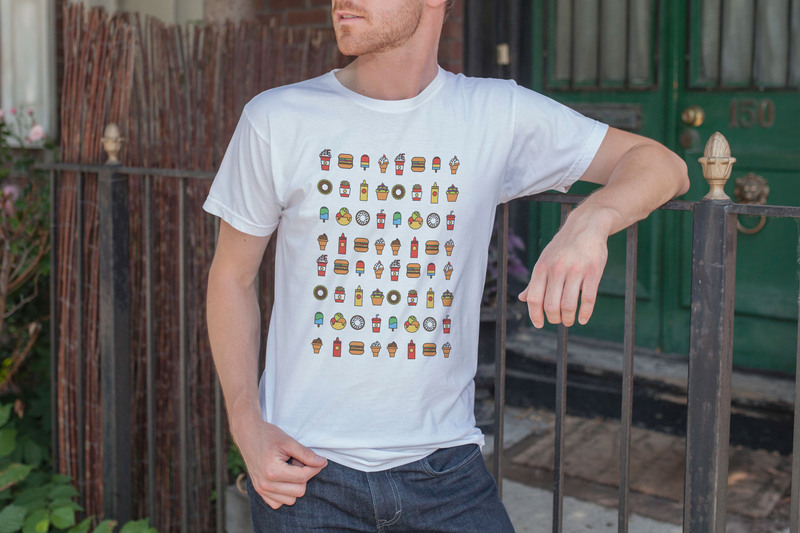 The brand components consisted of the logo system, icons, menu, restaurant’s signage, food packaging, pins, shirt and apparel.